Creative art therapies can enable the individual or group to engage on a physical level through a ‘language’ of imagination. Imagination can be expressed in many ways. Our therapists use techniques from the creative arts to empower individuals to voice or express their personal and emotional experiences. The creative interventions may vary due to the age and well being of each client. Creative therapeutic arts, is a powerful intervention that allows people to explore their actions, behaviours, and emotions. And learn how it affects their families, education, home, social environment, self-confidence and mental wellbeing. The focus is therefore not on the end product, an outcome that is measured artistically, but on the process of engagement, of sensory connectedness and creative expressiveness. Ritualistic drama is the use of symbols, repeated behaviours, religion, life events, ancient text and writings. These frameworks will be used to explore political theme, expressions of self and are also used in plays and drama games. Storytelling has been around since the creation of man and women. It is a process in which we convey messages, express our emotions and language. A Storyteller will use poetry, pictures, books and songs with targets themes in mind. A storyteller is the narrator who tells the story using bodily gestures, emotional expressions, voice tones and characters. The themes may take you on a journey through ancient times, modern day, current genre or target specific. In dramatic terms it is called bringing the story alive. 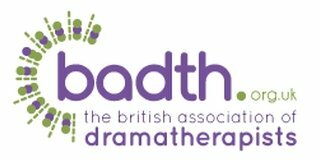 Drama is a creative action based method that actively encourages individuals to tap into their imagination express emotions explore ideas and behaviours. The drama techniques will range from role-playing out events, character work, writing a script and using mimes and gestures. Drama is simply expressions of actions and words that we actually doing or we are seeing. Movement to music is the use of the physical body to explore and express one’s creative imagination. It is often used as another way of telling a story. Using various art forms, mainly drawing, painting, music, writing, in a supportive setting to facilitate growth and healing. It allows a person to express inner thoughts by creating external forms. 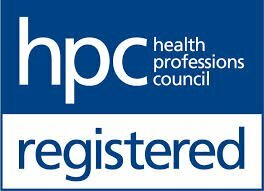 Our therapists are registered with the Health Professions Council. All our practitioners are creative experts and work from an African Centred perspective. Want to benefit from one of our creative therapies courses? Using a variety of different mediums, we can help facilitate your self healing!